Can You Afford a Second Home? Q: Dear Money Coach: I would like to buy a second home for retirement in 5 years. How much house can I afford, what should my down payment be and how can I use the equity in my first home to possibly pay cash for the second home? A: You’ve indicated three key facts to about your finances: namely that you own your current home free and clear, you have no debt, you have $95,000 in savings, and that your annual salary is $32,000. However, even with this information, it is impossible for me to accurately answer your questions because I’m still missing a lot of key data. For example, I don’t know how to get the property valuation of your current home. Is it worth $100,000, $250,000 or $500,000? That would tell me how much equity you have in the house in order to help you buy the second home. Also, I don’t know the price range for the second home you are considering buying for retirement. Is it a modest condo in Minneapolis or a pricey beach-side home near Miami? Lastly, although you indicated that you are debt free, you likely have some bills every month: property taxes, food, utilities, insurance, and so on. But I don’t know how much you pay in overall monthly expenses. So rather than try to play guessing games, I will show you how to determine for yourself how much home you can reasonably afford. But first let me tell you that, yes, since you own your first home outright, you should be able to get a home equity loan and use those proceeds as cash toward buying your second home. Recognize, however, that lenders are a lot stricter these days about financing second homes. They often want to see down-payments of 20%, 30% or more for individuals buying a second home or retirement house. Additionally, if you don’t have enough equity in your first home to pay for your second home in full in cash, then realize that you will have two house notes. The first one will be your home equity loan. The second loan will be the mortgage balance on your second home. In terms of interest rates and all the mortgage fees you will have to pay, you may be better off simply using some of your savings, and just taking one new loan to buy the second home – as opposed to having two loans. One caveat though: if that $95,000 in savings is all the money you have for retirement, you should not use that to buy the second home; I’m assuming that those savings have been specifically earmarked for a second home purchase, and that you have other retirement savings. OK, so now here are some ways to help you determine how much home you can afford. This information is adapted from my book, Your First Home: The Smart Way to Get It and Keep It. This information is relevant for people like you as well, who are considering buying second homes. How Much House Can You Truly Afford? After you determine the price range for your desired home, and consider how much of a down payment you can make, then you can consider other factors that impact how much you can truly afford to spend on a house. If you apply for a mortgage, the down payment won’t be the only cost consideration. You’ll also be responsible for closing costs, which average about 3% of the loan amount. So if you buy a $200,000 house for retirement and put down 25%, or $50,000, your remaining mortgage loan balance will be $150,000. If closing costs totaled another 3%, you’ll need to come up with an additional $4,500. When you put down less than 20% for a home, you usually have to pay for mortgage insurance. This is insurance that you buy to protect your lender against your defaulting on your loan. With conventional loans, mortgage insurance is called PMI, or Private Mortgage Insurance. If you take out a federally-backed loan, such as those insured by the Federal Home Administration (FHA), you pay a monthly MIP, or mortgage insurance premium. I wish I could tell you that you’d be all set just by amassing a down payment and enough funds to cover your closings costs. However, that would be misleading and financially foolish. To get yourself off to the best possible start as a smart homeowner, you also need to save up money for what I call a “Home Expense Fund.” This represents the cash reserves you set aside for after you get into that house of your dreams. This money might be used on anything from buying new furniture, to paying the moving truck to haul all your stuff into your house, to painting that home and doing repairs. No matter what kind of house you buy, even if it’s a brand new one, sooner or later something in the house will require maintenance or repairs. I don’t want you to purchase a house that costs you so much that when you take possession of it you are totally broke, because as soon as that happens I can practically guarantee that something will happen. The roof might leak. The boiler might break. Or maybe some kids in the neighborhood will accidentally toss a baseball through your window. Whatever the case, you’d be wise to plan for contingencies and have some cash on hand to deal with unexpected home emergencies. This way, you won’t have to charge those expenses, and run up unnecessary credit card debt. How much cash reserves should you have? I recommend that your home expense fund be 2% of the value of the home you’re purchasing. For that $200,000 home, you’d need to have $4,000 in savings put aside for potential expenses after you move into your home. If you think having adequate cash set aside for your Home Expense Fund will total too much money – think again. The true cost of homeownership far exceeds your principal, interests, taxes, and insurance costs. Be sure to check out Appendix A at the end of Your First Home, where I spell out all the ongoing costs of owning and maintaining a home. This will help you understand why that 2% Home Expense Fund is a necessity. Obviously, these are just guidelines. Yet these rules of thumb will help ensure that your home-buying experience will be a positive one from a financial perspective. Following these recommendations will steer you towards buying a home that you can truly afford. 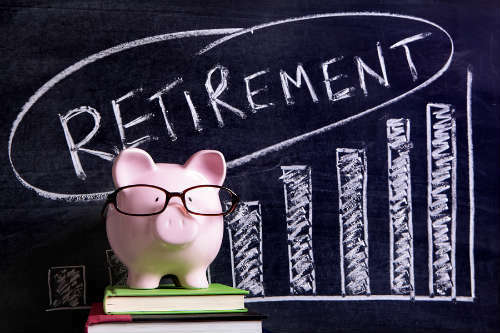 To round out your knowledge of how much you can truly afford, you need to now take a hard look at your own finances, namely your expenses and any income you will have in retirement. Are you expecting pension income, social security money, investment income or cash from other sources? When you go to a bank, mortgage broker, or other lender to apply for a mortgage, one of the first questions they will ask is: what is your gross monthly income or annual salary? Most of you know the answer to this question off the top of your head. If you don’t, just multiply your salary by the number of times you get paid each month or each year. For instance, if your gross pay is $800 per week, and you get paid weekly or four times in a month, then your gross monthly pay is $3,200 a month. If you get paid 52 times a year, you’d multiply 52 by $800 for an annual salary of $41,600. In addition to your salary or wages, lenders will also consider overtime, commissions or bonuses that are guaranteed, plus alimony, child support, annuities, and any other income you receive on a regular basis. Next, your lender will want to know what existing debts you have that will require 10 months or more to pay off. For instance, this might include your car payment, credit card bills, or student loans you are repaying. The lender will add up all your minimum payments for each of your debts and come up with something called your DTI, or debt-to-income ratio. Your total debt, housing plus other bills, is known as your “back-end” ratio. Generally speaking, conventional lenders like to see maximum debt-to-income ratios of 28% for the front-end expenses and 36% for the back-end expenses. This means your housing costs take up no more than 28% of your gross income, and your housing expenses plus other bills should represent no more than 36% of your gross pay. There are many, many exceptions to this rule, however. Some lenders will allow your housing costs to be as much as 40% or more of your salary, and your total debts to be as much as 50% or more of your income. So don’t get bogged down by the traditional 28/36 guideline for your debt-to-income ratios. Nor should you be discouraged and think that you won’t qualify for a mortgage if your ratios don’t conform to these numbers. Use them as a frame of reference to let you know how close or far off you are to meeting traditional lending criteria. Many banks have “expanded” criteria programs, meaning they offer loans with less stringent debt-to-income requirements and even easier credit requirements to allow you to get a mortgage. Are you interested in knowing your own debt-to-income ratio to see how much you can afford to spend on a house by traditional lending standards? You don’t need to go to a bank to do this. You can do it on your own, following these easy steps. Step 1: Write down your estimated housing expense, including principal, interest, real estate taxes, and homeowner’s insurance. This figure represents your housing expense, or front-end ratio. Tip: use an online mortgage calculator for this estimate. At one site, http://www.bankrate.com, you just enter a loan amount, loan term and interest rate, and Bankrate.com can tell you the mortgage payment. For example, I used the site’s calculator to find out the mortgage for the purchase of a $250,000 house with a $12,500, or 5% down payment. So I entered a $237,500 loan amount. 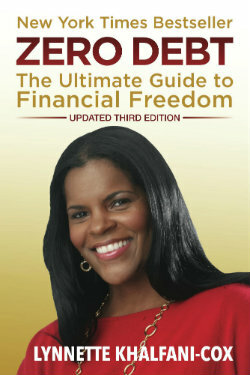 The loan term I used was 360 months, or 30 years, at an interest rate of 7%. The result: the mortgage payment was $1,385 for principal and interest payments only. You can do a Google search on the Internet for other mortgage calculators that will let you plug in estimates for taxes and insurance. Step 2: Tally up the minimum payments required on all your outstanding bills, then write the total number down. Remember: you don’t need to add in expenses such as your cell phone, Internet service, or utilities, only debts which require 10 months or longer to repay. Step 3: Add the number from Step 1 to the number from Step 2. This is your back end ratio, the total of your housing plus other expenses. Step 4: Write down your total gross monthly income. Step 5: Divide the number from Step 1 by the number in Step 4. This figure is the percentage of income you will spend exclusively on housing, known as your front-end ratio. As you can see, the figure you get from Step 5 is your front-end ratio; the number you come up with from Step 3 is your back-end ratio. How do your numbers look?